CT scanning—also called CAT scanning—is a non-invasive test that combines x-rays with computer processing to produce multiple images of the body. CT scans sometimes require the use of oral or intravenous contrast agents. The resulting images may be two-dimensional images of sections of the body or three-dimensional images of objects within the body. Urologists may use CT scans of the abdomen and pelvis to investigate conditions such as blood in the urine, recurrent urinary tract infections, kidney stones, urinary malignancies, and abdominal pain. Louisiana Urology offers CT scans performed by a certified CT technologist in our Baton Rouge office. 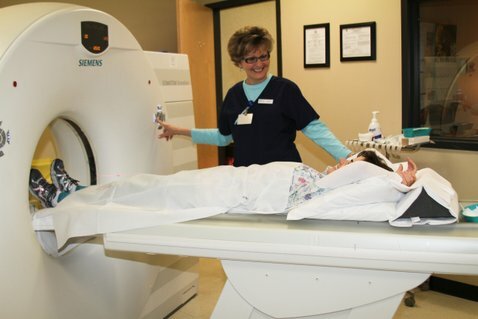 The scans are read by a licensed radiologist who will generally provide our physicians with a report within one hour. This saves our patients time and travel, since they frequently are able to have the CT scan and then see their physician for results during one visit to our office. Patients are provided with a CD copy of the scan for their records and for the use of other physicians.